We are delighted to have been approved to give CPD courses in concrete polishing by the Royal Institute of the Architects in Ireland (RIAI). Our seminar is now registered on the RIAI Network panel and we are thrilled to be part of this prestigious network. The Royal Institute of the Architects of Ireland supports and regulates the architectural profession. It promotes the value that architecture brings to society for everyone’s benefit. The RIAI also engages with professionals, like ourselves, to help their members deliver quality and sustainability in the built environment. A CPD presentation provides relevant information to architects and architectural technologists practising in Ireland, which is interesting, technical and topical, with clear learning outcomes. A CPD Network Provider is recognised by RIAI members as having achieved the high standard set via the panel assessment process. What is a CPD course? CPD stands for Continued Professional Development. It is a process used across various professional bodies which enables professionals to manage their own development on an ongoing basis. It also helps ensure professionals update their skills and knowledge particular to their industry and keeps them abreast of any developments and innovations. CPD demonstrates a professional’s standing to their clients and employers. It is mandatory for architects and architectural technologists to achieve 40 CPD points on an annual basis. One way to do this is by attending a number of presentations that are CPD Network-approved. A one hour CPD equals one structured point. Our CPD seminar on concrete polishing will qualify as one structured point. Our approval to the RIAI CPD Network for delivering this concrete polishing seminar is a clear validation of our in-depth knowledge and expertise in this subject area. We feel this really establishes us as the leading authority on concrete polishing in Ireland. Our seminar is based on our vast experience polishing concrete surfaces throughout Ireland over the past 10 years. 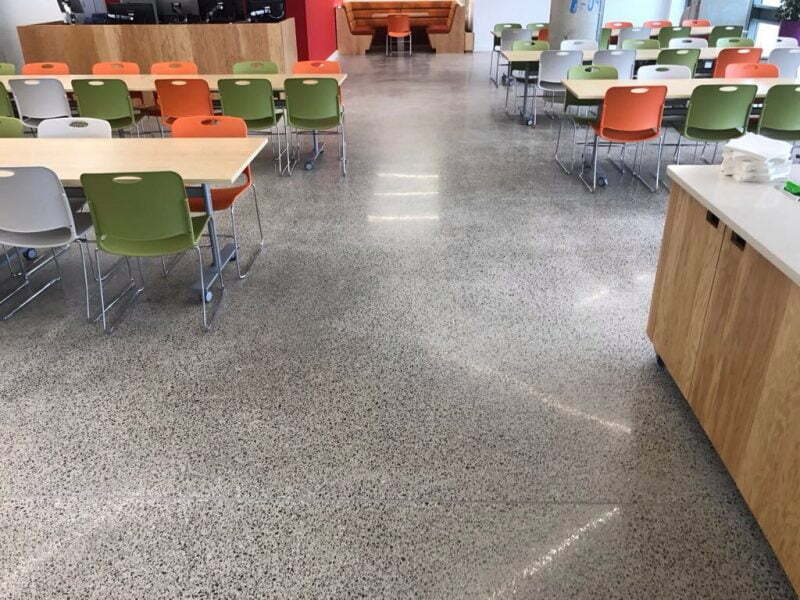 Polished concrete flooring is still a relatively new concept in the Irish market – compared with the US and the Southern Hemisphere, where it is the flooring of choice in many market segments such as retail, warehousing, schools, hospitals and the residential market, to name but a few. It is such a popular and fast-growing industry that in many cases it is outpacing consumers and contractors alike with new technology. Polished concrete is becoming so popular due to it many positive properties. A polished concrete floor is an extremely economical option for all types of businesses. Compared to other flooring solutions such as epoxy, stone or vinyl, it offers unrivalled value in terms of durability. The processed construction concrete has an unlimited lifespan and will therefore last the life time of the building. While the initial investment usually works out similar to or lower than the installation of a traditional flooring solution, the maintenance costs and durability render it a much more economical solution long-term. Studies have proven that lifecycle costs of a polished concrete floor can be up to 60% less than for traditional floors. A polished concrete floor is also extremely kind to the environment. It is made from natural, sustainable materials and its light reflective properties and thermal mass properties greatly reduce energy costs associated with managing a building. There are no glues, varnishes or solvents present in a polished concrete floor, therefore eliminating the use of harsh chemicals. There is also no cyclical stripping and re coating required like with other traditional flooring solutions. No wonder so many architects are embracing polished concrete floors as the best solution for their projects. 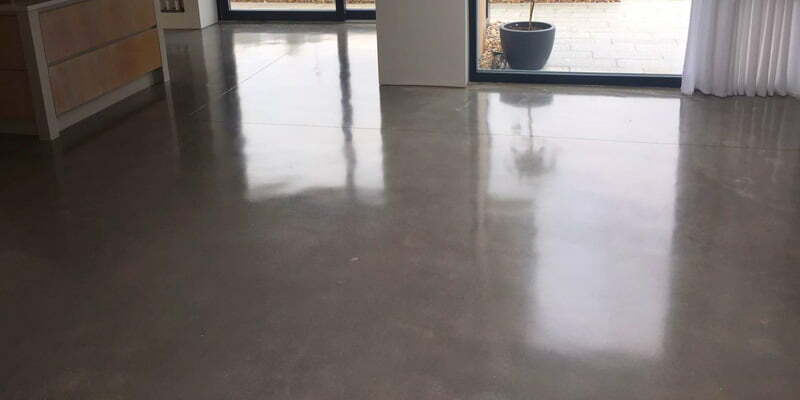 However, to get the best performance from your polished concrete floor, you must be aware of the processes required to produce a quality product. This is where our experience and knowledge comes in and is why we devised our seminar on concrete polishing. The course is specifically aimed at architects, specifiers and end users. It will define what a polished concrete floor is and how best to achieve a high-quality finish. 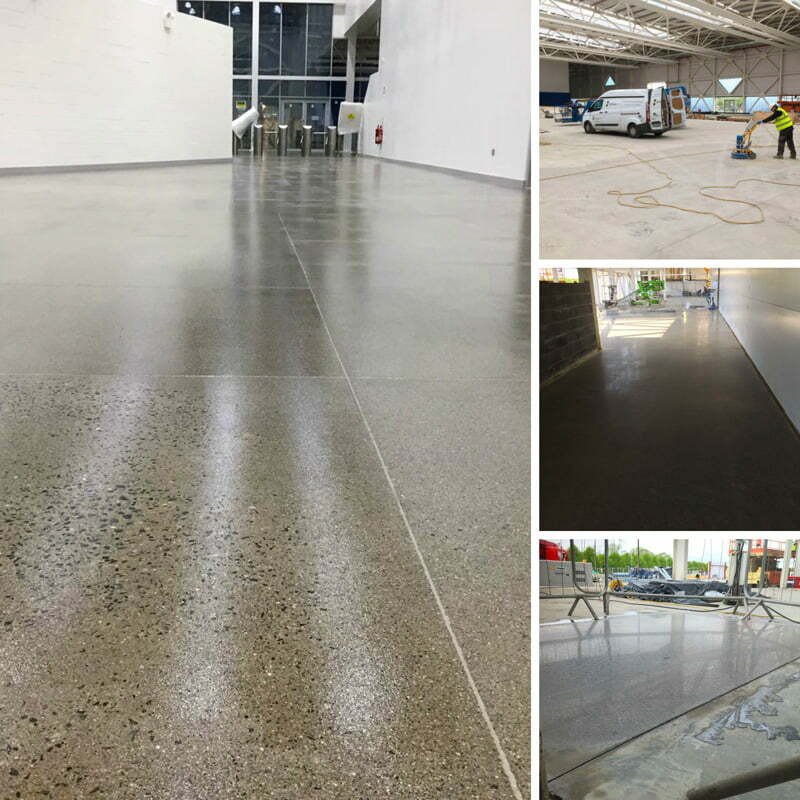 You will learn the many benefits of polished concrete, including its aesthetic values, longevity, ease of maintenance and its environmentally friendly credentials. The learner will have a greater understanding of the processes involved and will enable them to specify concrete suitable for polishing. You will also learn what to expect from the contractor who pours the concrete. 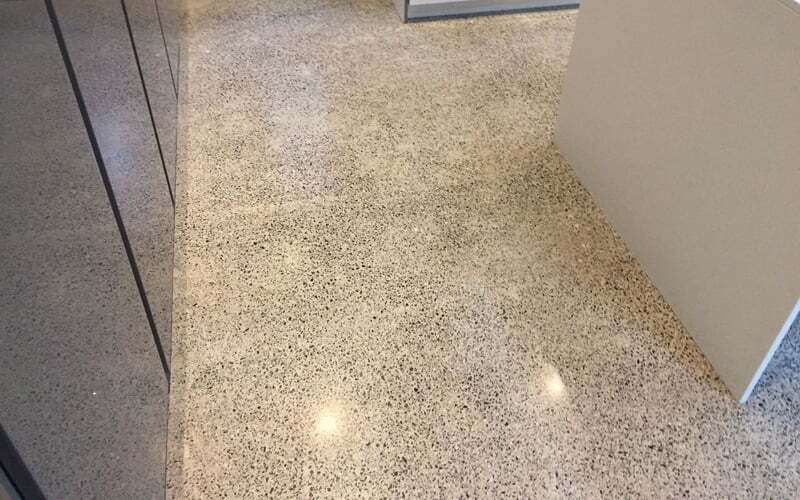 You will see the different finishes that can be achieved and the suitability of polished concrete in various commercial, industrial and residential settings. You will have a greater knowledge of the costs involved at installation, as well as lifecycle and maintenance costs. On completing the course, you will also have a greater knowledge about the pitfalls to avoid. 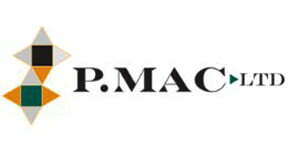 If your firm would like to organise a CPD seminar on the art of concrete polishing, please get in touch with our concrete polishing CPD Coordinator, Tracy Cassidy, on 01 473 3666 / tracy @ pmac.ie. We will gladly arrange this for you either in your office for a lunchtime meeting or at an external venue. We will also be organising seminars in various locations around the country, so please get in touch to register your interest and we will tailor the seminars in accordance with demand. Or, alternatively, you can click on the following link to organise it through the RIAI.